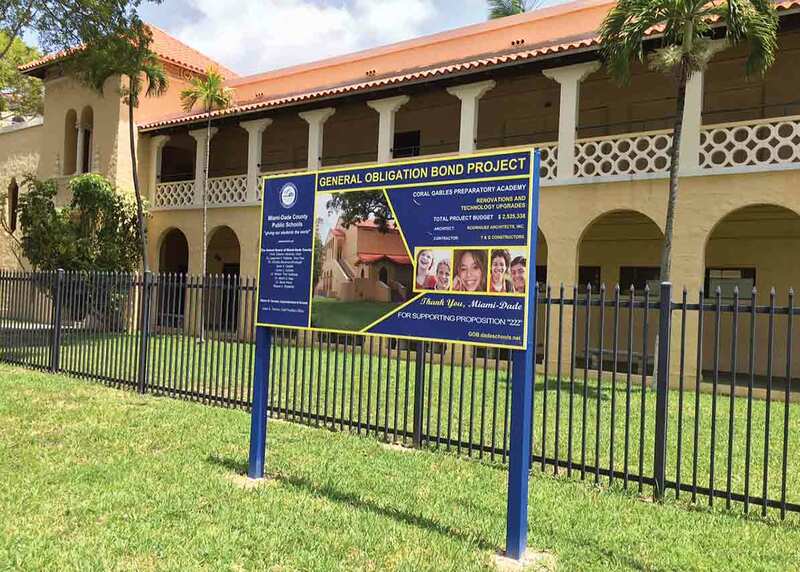 The Miami-Dade County Public Schools plan to issue about $200 million in bonds this month due to cash-flow needs for district-wide upgrade projects. Up to this point, the school district has been working on smaller projects that were badly needed, but it is rapidly progressing and moving onto larger construction projects, according to Leo Fernandez, Miami-Dade County Public Schools treasurer. Coming up are renovations and other projects that could cost $10 million or more, he said, so the district needs additional money to continue its 21st Century Schools initiative. “We’re going through the first $300 million and will need more cash,” Mr. Fernandez said, adding that over $90 million is in the pipeline for encumbrances – contracts and purchase orders. On Nov. 6, 2012, 70% of voters approved the issuance of $1.2 billion in general obligation bonds for the district to renovate facilities, update technology, build school replacements, expand student capacity and enhance facility safety. Mr. Fernandez said the district made a promise not to burden taxpayers, so its bond schedule depends on the work roll-out plan and cash-flow estimates. The bonds are paid off by property taxes labeled “school debt” on a resident’s tax bill, separate from the line item indicating the school district’s tax. Issuing a bond tranche before funds are needed means taxpayers would be paying the bill without the benefits of school upgrades as the money would just be sitting in the bank. It’s good timing, Mr. Fernandez said, that the July bond issue is coming before the Federal Reserve raises interest rates. The Federal Reserve has indicated that it might increase interest rates in September. So far, the district has issued $300 million from the bond program: $200 million in 2013 and $100 million in 2014. Interest rates were low in 2013 and the district locked in those rates for the 2014 issuance. According to the district’s website, Miami-Dade County Public Schools plans to finish issuing the entire $1.2 billion in 2018. “The superintendent has a plan to go as fast as possible to make the schools run better,” Mr. Fernandez said. Work will continue after 2018 and taxpayers will still be paying off the bonds. The last bond will be paid off 30 years after it is issued. The school district’s bonds mature in intervals. A portion of each bond matures every few years, with the last part maturing in 30 years. The district’s website states as it moves forward with the $1.2 billion bond program, the inequity that existed between the instructional experience of students attending newer schools and those in outdated buildings will disappear. “We will take full advantage of today¹s technology and digital learning environments. Aging schools will be replaced or updated to ensure all students have access to cutting-edge academic programming and modern safety and security measures,” the site states. Instead of bonds, the parents of children going to these schools should be the ones to pay for upgrades/repairs. My tax dollars are tapped out and I won’t be giving another penny. Parents should pay a special assessment like in condos. and 12 graders parents should pay their assessments.